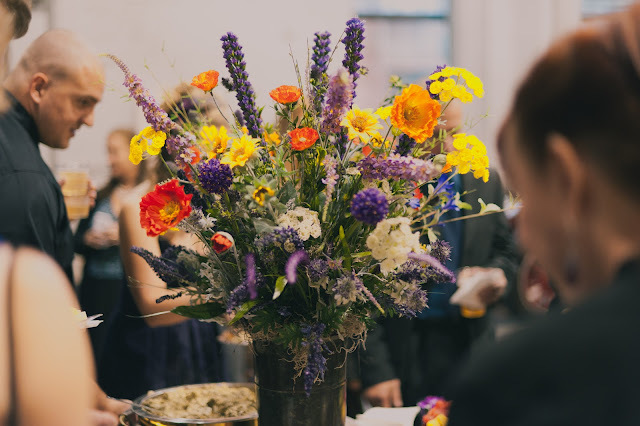 Start by arranging your flowers, twigs, etc. in the way you think they'll look best. I really like a layered look. Once they are arranged, wrap the bottoms of them with florist tape. 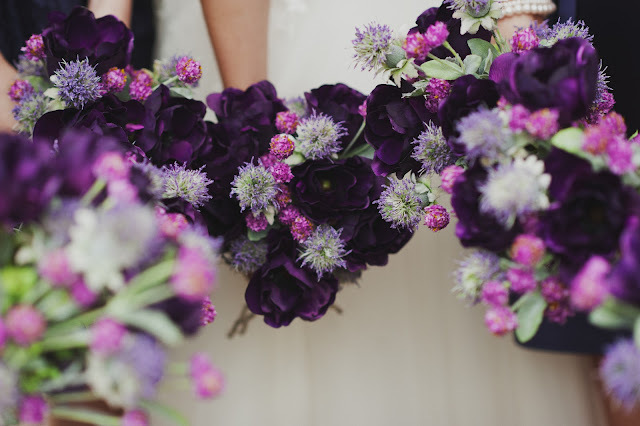 Using your hot glue, slowly wrap the twine around the base of the flowers to cover the florist tape. 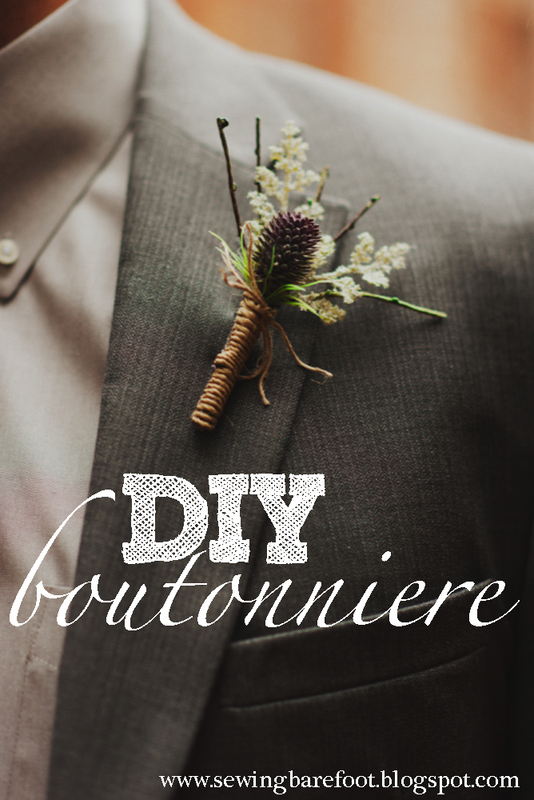 Once you're wrapped to the desired height, make a bow with some leftover twine and glue it onto your boutonniere. Glue on your pin back and you're finished! 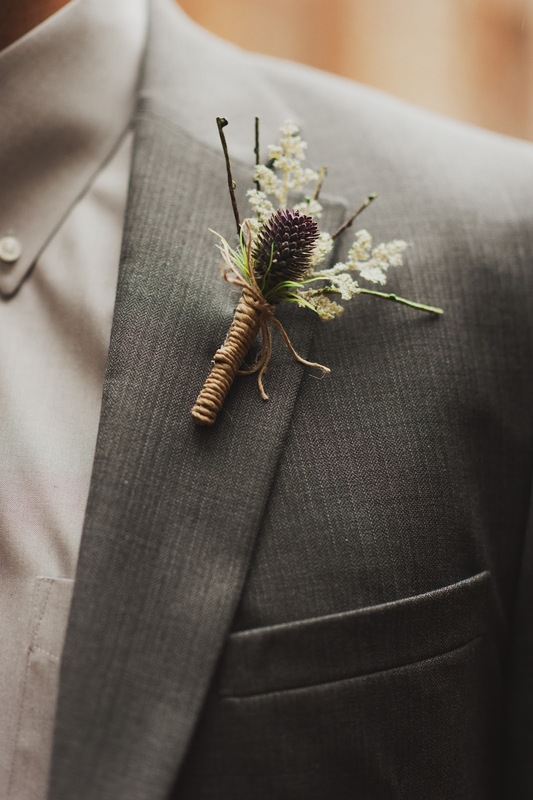 With a few minutes of work, you'll have a homemade, personalized boutonniere that will look the same at the end of the night as it did when your groom first put it on. Plus, you can save it as a keepsake since it'll never die. Yippee! Ooh, nice idea! So natural and great for fall! Those look amazing! Our boutonnieres were pretty floppy by the end of the day (and got smooshed with all the hugging) so this is a great idea! We did our for our wedding. I would love if you would link this up on our blog @ http://thekoenigscreate.blogspot.com/2013/08/mid-week-link-up.html We have a link party going on now till Friday. Nice idea! Very pretty and so creative. Now this is what I call floral rejuvination. Absolutely creative and cute! Amazing idea! I can personalize according to any occasion and theme! Thanks for sharing Shannon!